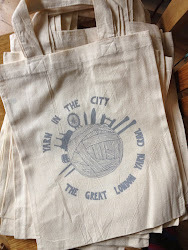 Joining the Great London Yarn Crawl for the first time this year is Mrs. Moon. 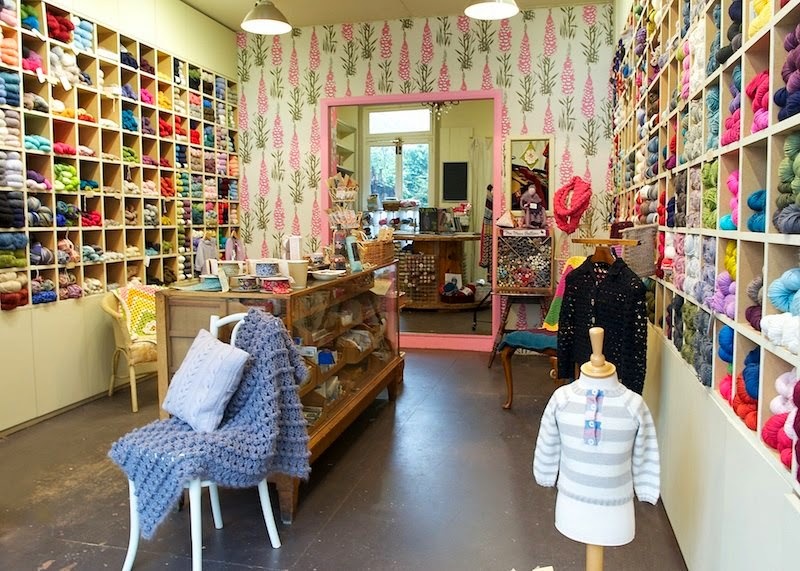 Located in zone 4 in charming St Margarets, this wonderful shop is run by sisters Karen and Susan. There's something for everyone here: Blue Sky Alpacas and Spud & Chloe, MillaMia, SweetGeorgia, and a good selection of Rowan too. 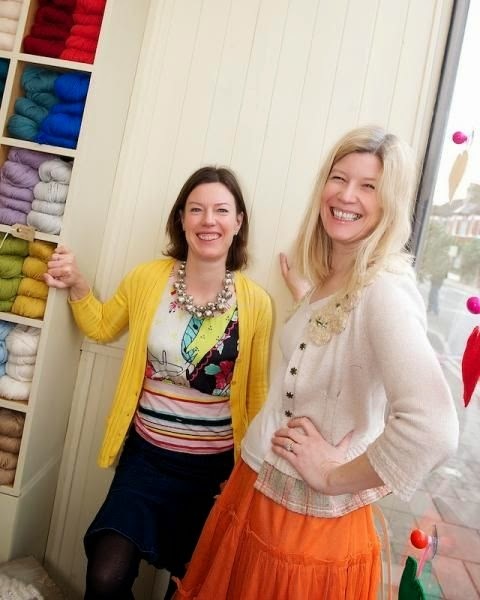 They even have their own in-house yarn launched earlier this year - Plump! It's a super bulky blend of merino and alpaca that feels like a little cloud! 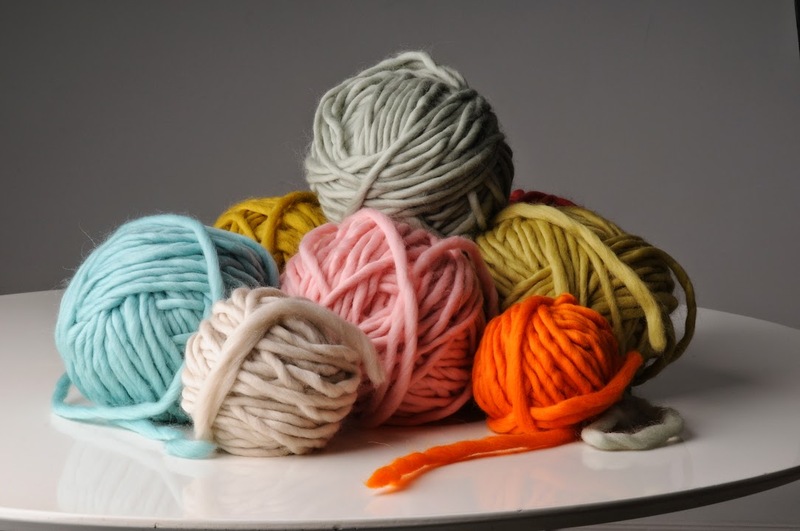 The colourful yarn-y delights that await you at Mrs. Moon! I'm not sure. I think shops are made by the people who work in them and we have lovely people who work for us. Everyone is very relaxed, knowledgeable, but doesn't take anything too seriously. We hope that people find Mrs. Moon a lovely place to shop. Susan and Karen are the friendly faces behind Mrs. Moon. That varies from season to season... knitters can be quite a fickle lot! Blue Sky's yarns are always popular because they are such incredible fibres. And of course our own Mrs. Moon Plump is popular too! Plump is Mrs. Moon's latest offering - their own signature in-house brand of yarn. We teach crochet and knitting from beginner to advanced techniques. Most popular are our one-to-one classes that can be any time during the week. We teach anything in these... it might be finishing something off or learning something new. St Margarets is a beautiful part of London that hugs the Thames at its prettiest point. We are lucky to be surrounded by fabulous independent cafés, restaurants and shops. We are a ten minute walk from Richmond and Twickenham and benefit from all they have to offer...(in Twickenham's case it helps if you like rugby! ).